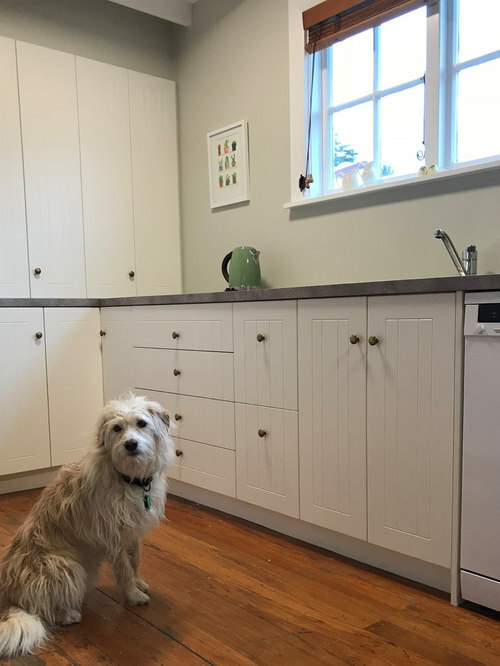 Archie the dog (and his human family) just love their renovated kitchen. 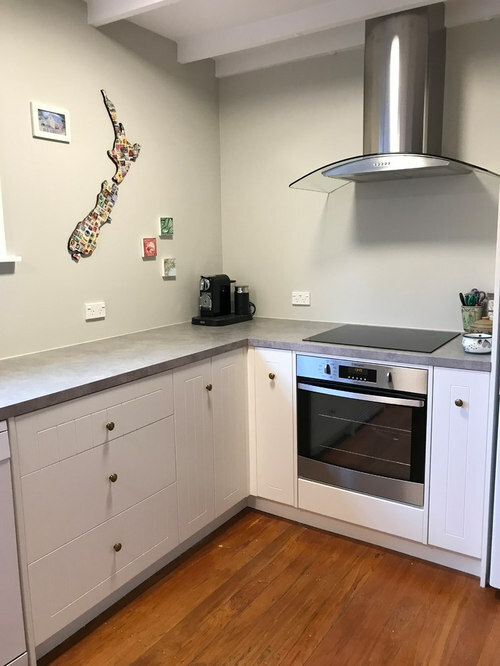 Pearl Soapstone laminate benchtops are teamed with Dezignatek Calais Quarter Thornden Cream cabinetry which fit the style of the home. Archie loves his new kitchen! 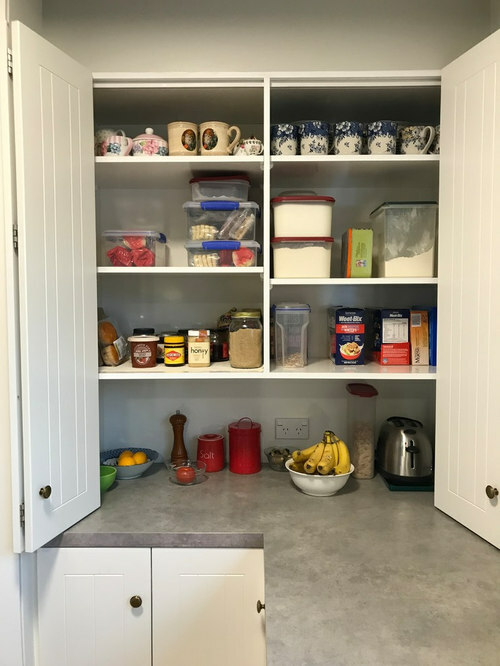 This on-bench pantry provides heaps of easy to access storage and is a great place to have small appliances plugged in and ready to use. 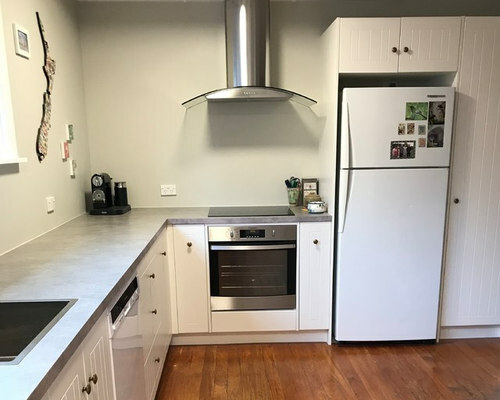 We included a tray cupboard on one side of the oven and hob and a spice and bottle pullout on the other. Creates a nice symmetry but is also a super practical place to store these items right where you use them. 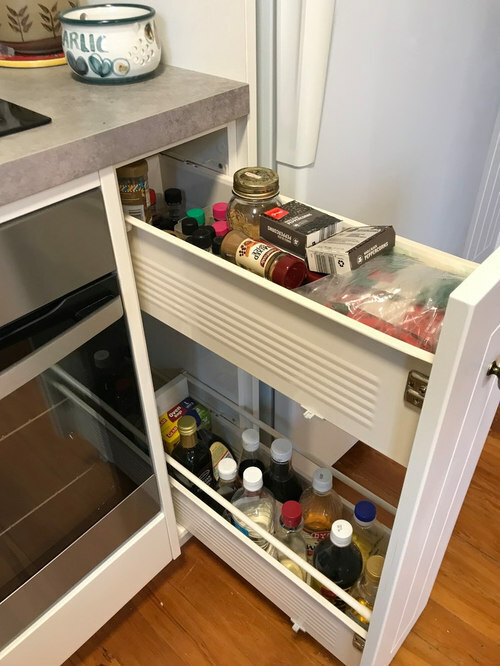 Spice and bottle pullout which is next to the cooking area. 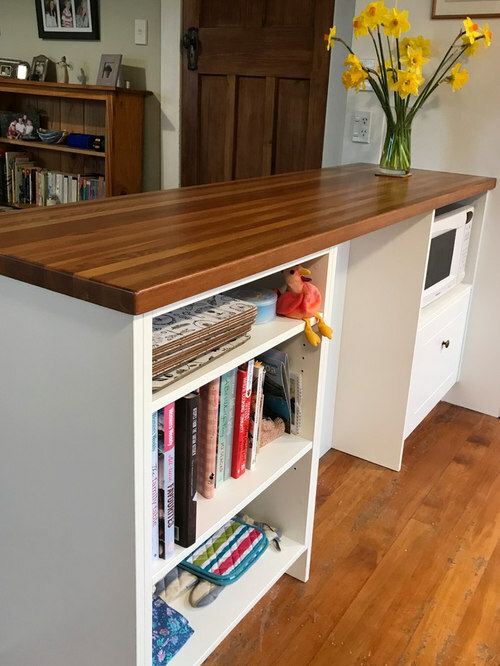 Our customers chose to have a wooden benchtop that had been part of their original kitchen re-finished and included as a peninsula top in the new design. It came up like new! 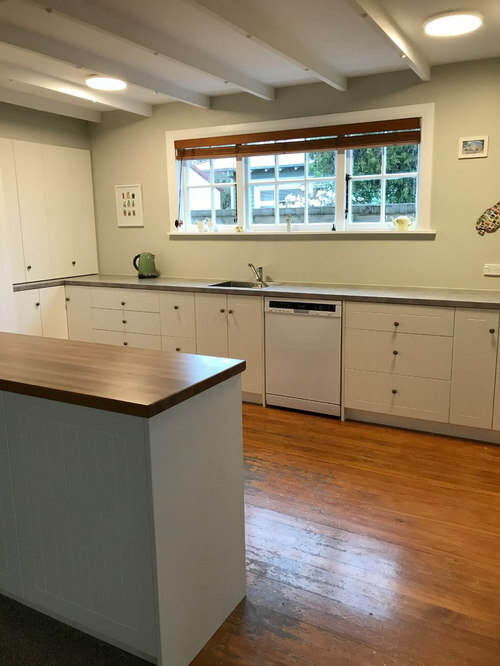 Our customers are loving the long lengths of uninterrupted bench space and all the storage in their new kitchen. 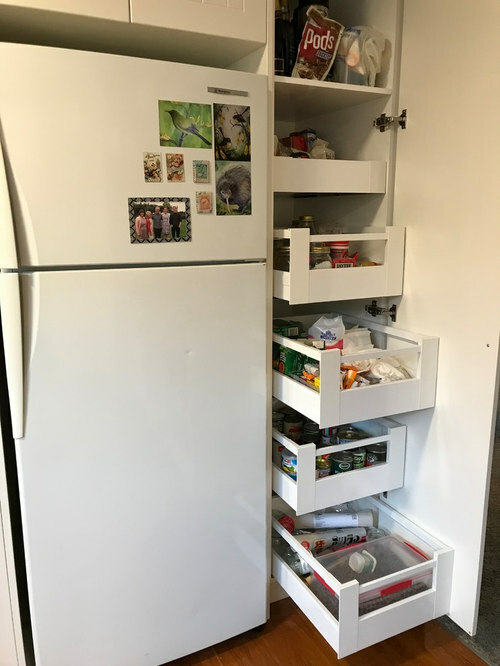 Our customers love their Blum Space Tower pantry - five internal drawers which hold SOOOO much and make accessing everything so easy.